Boasting an incredible colour palette, alongside incredible power, our Sumeru necklace is the perfect addition to light up your life. Comprised of Redstone, Watermelon Stone and Agate, this necklace features stones with the ability to transmit electricity, attract love and feed your life force – what more could you ask for? I had bought this item previously from Mala Prayer.This time,I thought to offer it to a friend for Christmas, as I love it so much! 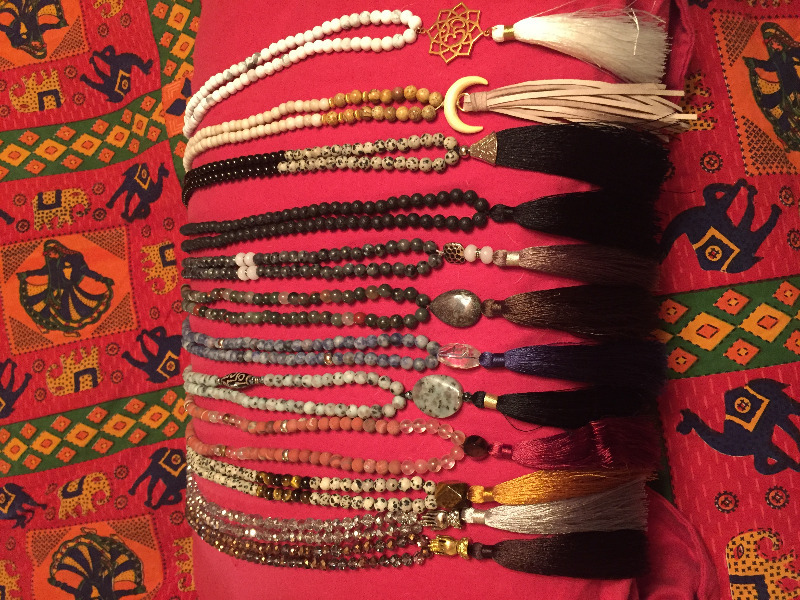 Very well crafted.I recommend this beautiful mala for prayer. 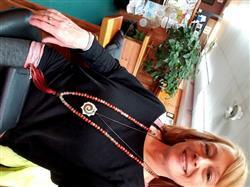 So happy you love your Mala Danielle! The colours of this mala are slightly more brick red than the picture depicts but they are beautiful all the same. The agate is a deep dark burgundy with slightly darker mottling throughout. 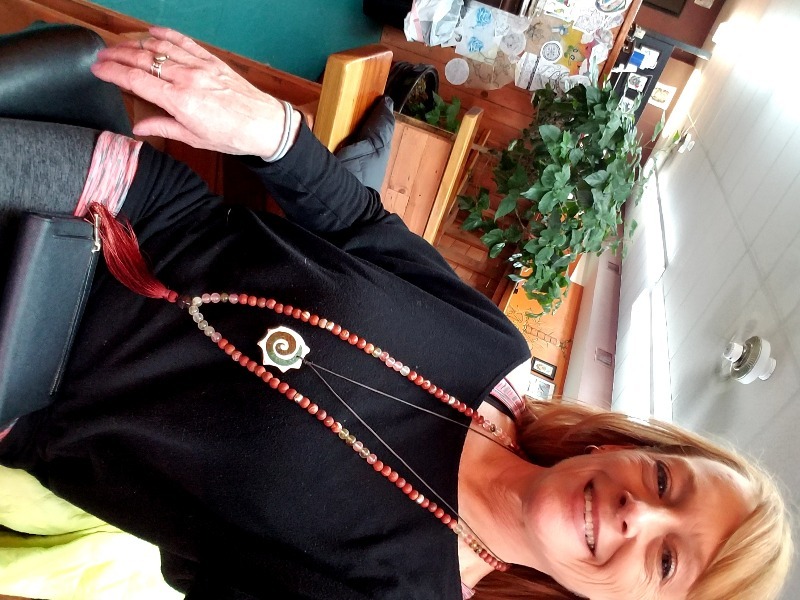 The mala sits nicely weighted around the neck with a lovely soft, brick red tassle that garners many compliments when I wear it. I have set my intention with it but not meditated with it yet. However, it feels lovely in the hands and calming while wearing it. This is a beautiful piece and I love wearing it! Great quality. Love my mala!! !